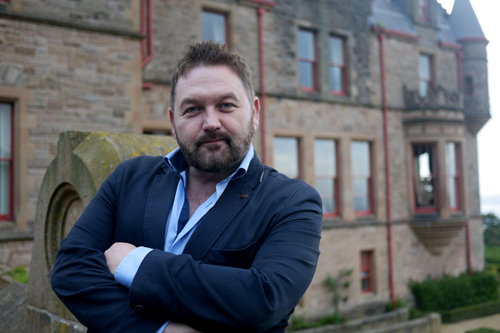 Over four years and across seven hours of television, William Crawley has travelled to America, Canada, New Zealand and Australia to tell the stories of some remarkable Ulster-Scots men and women who made their mark in a new world. Now to conclude his journeys, in this special documentary, Brave New World: Back Home, William returns to home soil to find out what those stories reveal about the Ulster-Scots diaspora as a whole and how the loss of sons and daughters, neighbours and friends over centuries has made emigration part of our story and of this world – back home. The one-off documentary, which received support from Northern Ireland Screen’s Ulster-Scots Broadcast fund, broadcasts on BBC Two Northern Ireland, Sunday 22nd October at 10pm. William revisits some of the most compelling stories of the Brave New World series that reveal how the people who left these shores carried their values, their traditions, their talents and religion with them when they emigrated. William examines what those traits and values were and how they influenced not only the lives of emigrants but the societies they helped to create in the new world, such as Reverend William King who helped American slaves escape to freedom in Canada or James Dilworth, a self-made millionaire who established a school for underprivileged boys in New Zealand. Women also played a huge role in the story of emigration from Ulster and as William has discovered, while their stories were harder to find they are equally inspiring, like that of Nelly Bly, one of the world’s first investigative journalists whose family roots were in rural County Londonderry. In this concluding chapter to the Brave New World series, William takes the opportunity to visit a range of places ‘back home’ that have been deeply impacted by emigration: from the parish of Magherculmoney in County Fermanagh the home of emigrants who featured in not one but two Brave New World series, Canada and Australia, to Aghagdowey Presbyterian Church, Co Antrim. It was from this congregation that 16 families left for America in 1718. They could be described as the Ulster-Scots equivalent of the ‘Pilgrim Fathers’ because their departure marked the beginnings of mass migration from Ulster to the New World. As William discovers in Brave New World: Back Home, emigration touched every townland and parish in Ulster and it is as much our story as it is that of the people who left here, many never to return. Brave New World: Back Home, is a DoubleBand Films production for BBC Northern Ireland in conjunction with the Ulster-Scots Broadcast Fund.